She's gorgeous ... and even funnier than him. Who is Trevor Noah's girlfriend? While we know Trevor Noah as the hilarious host of The Daily Show on Comedy Central, what is there to know about his girlfriend, Jordyn Taylor? We don’t often hear much noise when it comes to a comedian’s personal life, but who could resist the charm and humor of this host? Here are 7 things you should know about Jordyn Taylor and her relationship with Trevor Noah. 1. She’s a former singer. She released her first single, “Strong,” which gained traction on Myspace in 2005. In March 2012, Taylor released her debut self-titled album, and had a second album, Shine, in early 2013. She also had a song featured in the Lindsay Lohan movie, Confessions of a Shopaholic. However, in 2014, Taylor announced that she was taking an indefinite break from music. 2. She has since become a model. Taylor is signed to L.A. Models/L.A. Talent. On her Instagram, she frequently posts photos of her photoshoots around the world and her gigs as an auto show model. 3. She shares a striking resemblance to his ex-girlfriend, Dani Gabriel. Woah! Are we seeing double? 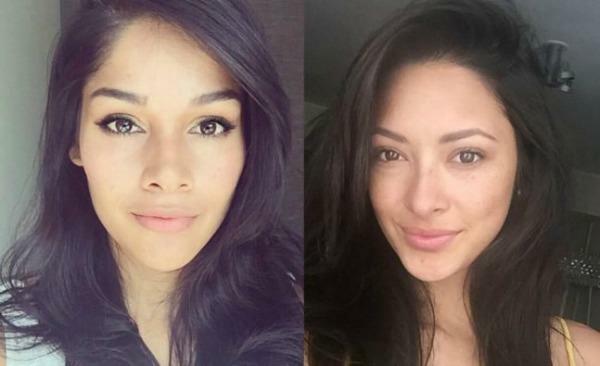 The two are no doubt beautiful women in their own right, but they do look very much alike, don’t they? They are both also artists, singers, and very much into fitness. Because of his move to New York to become the new Daily Show host, Noah unfortunately had to leave behind his girlfriend at the time, Dani Gabriel. Gabriel has said that she is still proud of him and is happy for his success. 4. Taylor's boyfriend passed away in a car accident. In 2011, Taylor’s boyfriend, Vincent Giuliano, died in a freak car accident. She described him as her “one and only love.” His passing inspired multiple songs in both of her musical albums. According to the California Highway Patrol‚ 21-year-old Giuliano was thrown from a pickup truck after it skidded off the road and rolled down an embankment. He suffered serious injuries and was pronounced dead at the crash scene. We’re glad she has since learned to love again. 5. They met at one of his comedy shows. The two started dating in June 2015 after Noah moved to New York. Allegedly, the two met at one of his comedy gigs. She was probably drawn to his charm and humor. I mean, who could resist that smile? 6. Her and Noah live together. The two share a luxury duplex penthouse on the Upper West Side of Manhattan. Taylor is a California native, but she moved to New York to be closer to him. It's sweet that she would move across the country for love. 7. She’s incredibly supportive of his career.